Can DNA Uncover Health Hints? 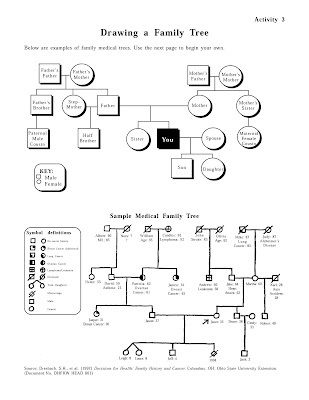 Staying abreast of the trends in genealogy can be daunting, but is definitely necessary for the serious family historian or professional genealogist. In 2004, the Surgeon General, in cooperation with other agencies, launched the Surgeon General's Family History Initiative to encourage all American families to learn more about their family health history. Thanksgiving has been declared National Family History Day, allowing for updates and information to be shared at an annual family gathering. 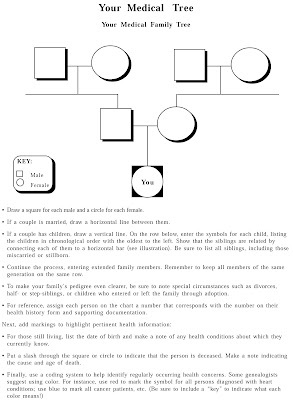 There's even a "My Family Health Portrait Tool" to enter your family health history and learn about your risk for conditions that can run in families. But can genetics and genealogy really paired? The answer is yes. Not an official definition, 2010. Although genealogists and family historians are quite talented, we don’t want to cross the lines of diagnosing based on family history, or predicting life spans or early deaths based on information and patterns. Our job is to recognize patterns and document them. What Traits and Health Analysis Discovered via DNA? Carrier Status: are you a carrier for an inherited condition? This includes cystic Fibrosis, Sickle Cell Anemia, Hereditary Hearing Loss, Sjögren-Larsson Syndrome and more. To see the list of possible reports from A - Z visit the All Carrier Status Reports. You may also find it interesting that some genes are most notable within ethnic groups. This is a great place to visit to learn about common diseases if you are of French Canadian , Ashkenazi Jewish, Danish, Finish of African heritage. Traits Report: Of course genetics play a part in your "likelihood of having certain characteristics" to include the color of your hair and facial features, but the list of 23andMe Traits reports include whether an individual will have asparagus odor detection. Yes, Asparagus Odor Detection! There are over 20 traits reports. Although interesting, much of this DNA scientific finding is not helpful unless you are digging into your medical genealogy. 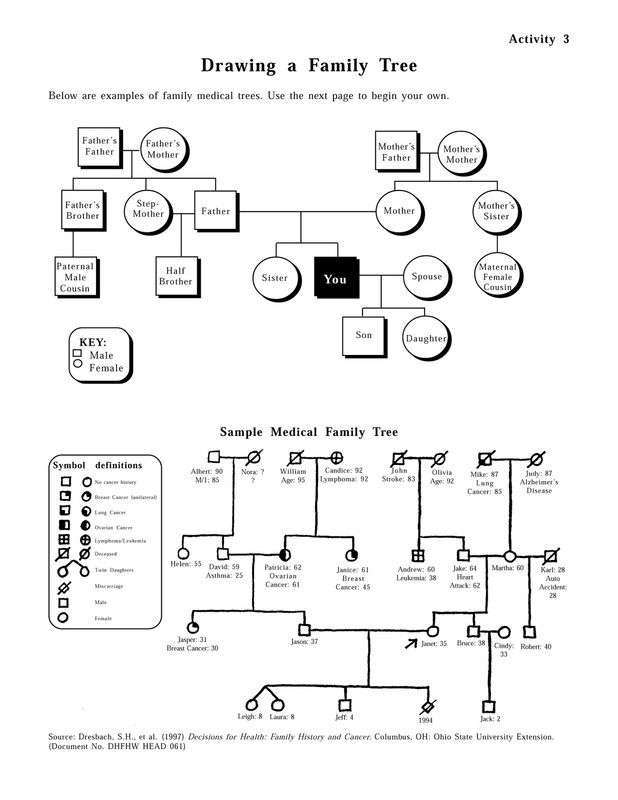 Using this tool, genetic genealogists may create an At-a-Glance Medical Tree. 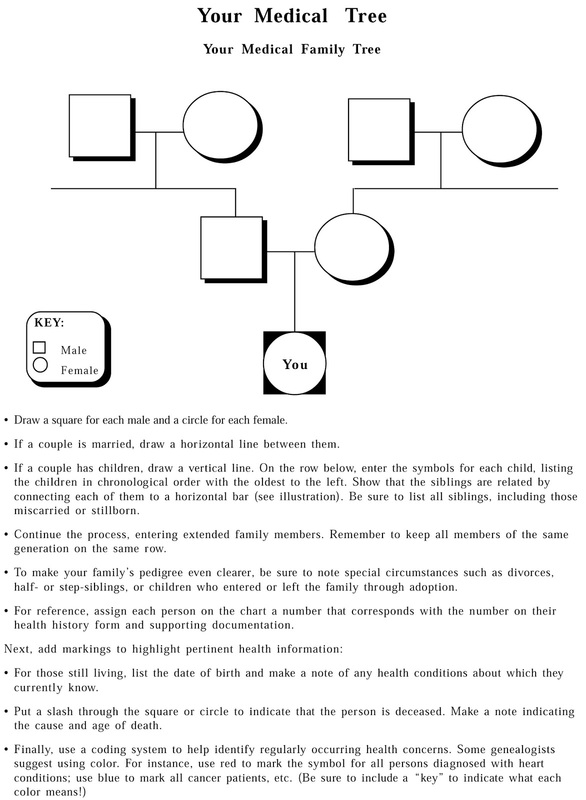 Once you’ve gathered your data/information, by following the symbols that are defined (or add some of your own), this tree can be a breeze, and useful to the entire family and can be reviewed by your geneticists if necessary. In the end you should have a tree completed like the one above. Your family and doctor will appreciate the family research.